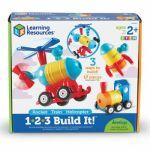 Build three different vehicles from just one set of mix-and-match parts with the 1-2-3 Build It! 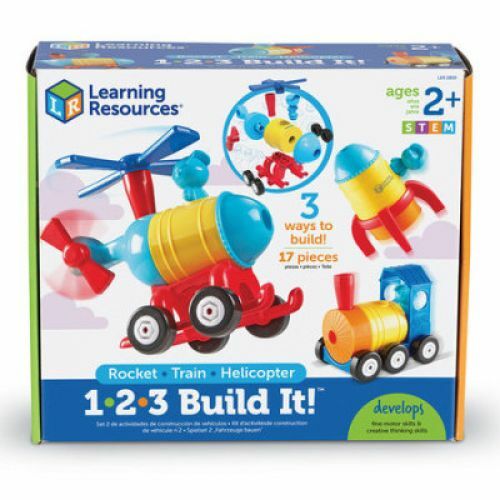 Rocket-Train-Helicopter from Learning Resources. Chunky, easy-to-handle parts let kids build and rebuild on their own before embarking on imaginative journeys to far-off destinations—blast off to distant stars aboard a rocket, fly through the air above a make-believe city with a helicopter, or chug down the tracks toward the station with a train. 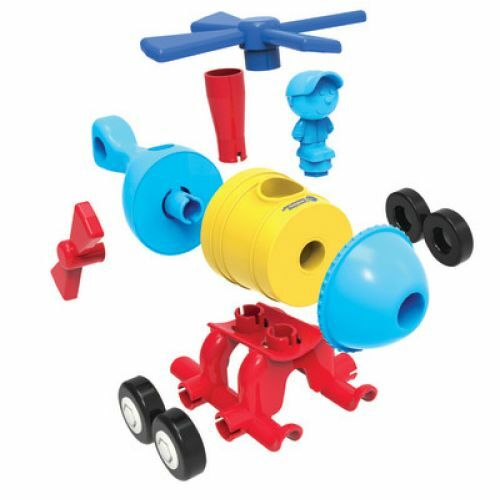 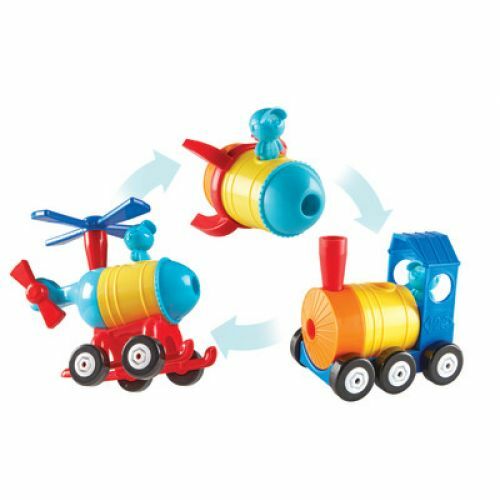 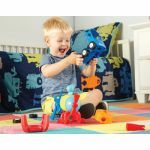 Each fun, durable vehicle also doubles as an easy vocabulary lesson, introducing kids to the completed rocket, train, and helicopter, as well as parts ranging from wheels to propellers. 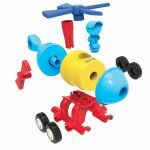 In addition to encouraging imaginative and vocabulary skills, the vehicles of the 1-2-3 Build It! Rocket-Train-Helicopter develop fine motor skills and understanding of early engineering concepts through hands-on building. 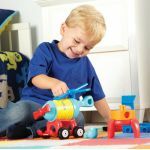 There's even a kid-sized play wrench that helps kids get started down the path towards using real tools and problem-solving skills.